ASIS invites students to write an academic paper on an issue relevant to the security and assets protection profession. $1,000 and $1,500 prizes are available. D-Link's DCS-3716 is a high-end full HD day and night WDR network camera, equipped with a 1/2.8-inch 3 Megapixel WDR progressive scan CMOS sensor and a 3.1-8.0 mm DC auto iris lens. The DCS-3716 captures video in both dark and light environments, or even subjects shot against a backlight by neutralizing imperfect lighting and generating a realistic image. 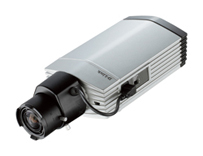 Its removable IR-cut filter for day/night functionality provides clear detail and high quality video at any hour of the day. The DCS-3716 incorporates Power over Ethernet (PoE) and an SD card slot, allowing it to be easily installed in a variety of locations. Director of safety, security and emergency management at BCIT Glen Magel oversees a department that has recently introduced a comprehensive security program. The program, which lays out measurable targets and accountability measures, is also integrated with the IT department and includes an incident reporting system. Canadian Council of Security Professionals AGM Lite Oct. 29, Ottawa, Ont. Mastering Solutions to Today's Risks in Healthcare Security Oct. 30-31, New York, N.Y.
SecureTech 2012 Oct. 30-31, Ottawa, Ont. ISC East Oct. 30-31, New York, N.Y. Innovation and Loss Prevention Conference and Expo Nov. 6, Vancouver, B.C. National Crime Prevention Council - Campus Crime Prevention Training Nov. 6-8, Toronto, Ont. Toronto Emergency Management Symposium Nov. 14-15, Toronto, Ont.